Boys love dressing up just as much as girls do! It just looks a bit different. Less frills and glitter, somehow. 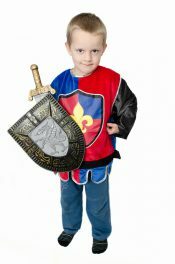 Read about boys dress up and get some fantastic ideas for costumes and games here!